The controversial Gujarat Control of Terrorism and Organised Crime(GCTOC)Bill 2015, passed by the Gujarat Vidhan Sabha but twice rejected by the previous government, has been returned by President Pranab Mukherjee as well. The Union Home Ministry has withdrawn the Bill and will re-submit it after working on the provisions that require Presidential clarity. 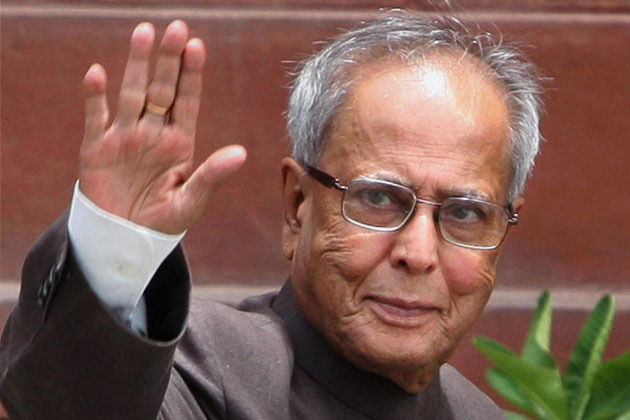 Official sources said in Delhi on Thursday, that the President had sent back the Bill because he has sought more input related to certain provisions of the Bill. The Union Home Ministry will provide it "after taking the same from the Gujarat government", a Ministry spokesperson said on Thursday. The Ministry has already communicated to the President that it was withdrawing the Bill which was sent to him in September 2015, and will send back a reworked one. The Gujarat Control of Organised Crime (GUJCOC)Act was twice rejected by President’s of the Indian Union. It was tabled on the last day of the budget session in the Gujarat Assembly on March 31,2015 in a new form, called the Gujarat Control of Terrorism and Organised Crime (GCTOC) Bill, 2015, and passed overriding the protests of the Congress opposition. Gujarat's minister of state for home Rajnikant Patel strongly built a case for GCTOC on the ground that Gujarat shares a border with Pakistan which sponsors terrorism and such a piece of legislation is required for the safety and security of the people of the state. "Criminal coteries are known to make common cause with terrorist elements and the two together pose a threat which needs to be curbed forthwith and therefore the need to arm the state with a stringent law like the one brought forward by the state government”, he had said on the floor of the House. The Anandiben Patel government had taken the stand that "Maharashtra has it’s Maharashtra Control of organized Crime Act (MCOCA), as does Karnataka and Andhra Pradesh, but BJP-ruled states like Gujarat, Madhya Pradesh and Rajasthan were being denied Presidential Assent”. The Congress opposition as well as NGOs had opposed the legislation. Gujarat Jan Andolan (GJA), an umbrella grouping of NGOs and several human rights groups petitioned the President to reject the Bill once again and warned of a statewide agitation. Rajesh Mankad of Jan Sangharsh Manch termed the Bill as a ‘black law’ while DN Rath of the Movement for Secular Democracy (MSD) said that farmers' agitating against land acquisition may well become the first victims of this atrocious Bill, if it becomes a law. Ikram Mirza pointed to the tainted record of the Gujarat police with it’s string of fake encounters and the existing laws had the tenacity to deal with all manner of crime and criminals provided it was used properly. The Congress opposition both in the state and the centre as well as the JD(U) and the CPM are already on record urging President Pranab Mukherjee against giving his assent to the Gujarat Anti-terror law. The legislation has a chequred history. The GUJCOC Bill first came up post-2002 because the weapon of choice, Prevention of Terroism Act (POTA) stood repealed. It was, however, returned by President APJ Abdul Kalam, who had objected to clause 14 pertaining to interception of communication and ordered it removed. In 2008 the Bill was again passed by the State Assembly after removing the clause but retaining the clause for confessions before police as admissible evidence.In 2008 President Pratibha Patil returned the Bill.In 2009,Modi again passed the Bill ignoring the suggestions made by the President and sent it back. The 2015 Bill passed by the State Assembly arms the police with unbridled powers to tap personal phones without permission and detain people without let or hindrance. The Bill which has provision for death penalty and fine of Rs 10 lakh empowers phone intercepts and it’s admissibility as evidence in courts.Same applies to confessions extracted by the police.Most importantly, it upturns the law to put the onus of proving ones innocence on the accused. "The Special Courts shall presume,unless the contrary is proved,that the accused has committed such offence”, the Bill states. The Statement of Objects and Reasons says, "It was considered necessary to enact a special law with stringent provisions, including the power to intercept wire, electronic or oral communication." It adds, "Person in custody under this Act cannot be released on bail unless the public prosecutor has been given an opportunity to oppose it. And a special court is satisfied there are reasonable grounds to believe accused is not guilty and will not commit any offence while on bail”. Shaktisinh Gohil, former leader of the Congress Opposition said that GUJCOC was first rejected by the President at a time when the BJP was in power at the Centre. Shankersinh Vaghela, the present leader of the Opposition said, "It is not for the benefit of the people but for those who are in power”. However the government seeks to defend the clause that provides for 180 days time for filing of a chargesheet under the Act, as necessary because sensitive cases require enhanced investigation time. GUJCOC was sought to be brought in by the Modi government in Gujarat as the Prevention of Terrorism Act (POTA) enacted by the NDA government in 2002 was repealed by the UPA government immediately after coming to power in 2004. POTA itself had replaced an earlier anti-terrorism law , Terrorist and Disruptive Activities (Prevention) Act infamous as TADA which was allowed to lapse by the PV Narasimha Rao government in 1995.